Martyn Downer is a leading dealer of historic jewels, objects and artefacts, especially relating to the Royal Navy in the era of Admiral Lord Nelson. A former director and head of jewellery at Sotheby’s London, he is also founder of My Family Silver the family crest and heirloom finding website, and a director of Corfield Morris Art & Antique Advisers. Martyn has published three books including the bestselling Nelson’s Purse (Bantam Press, 2004) which recounted the story behind his discovery of a remarkable trove of lost treasures belonging to Admiral Nelson. In 2008, he curated the acclaimed exhibition The Earl’s Machine at Olympia, London. Media appearances include BBC Radio 4’s Today and Midweek programmes and Channel 4’s Richard & Judy Show. He was also a contributor and historic adviser to BBC 2’s acclaimed 2012 documentary Queen Victoria’s Children. Since 2002, he has managed the sale of ten out of the twelve most expensive artefacts relating to Lord Nelson ever sold, see Sale Highlights. 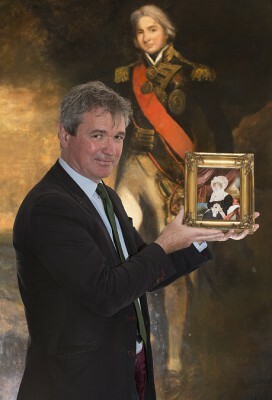 Martyn has recently negotiated sale to the collections of The William Herschel Museum, The Queen’s Dragoon Guards Trust Museum, The Grocers’ Company, The Mercers’ Company, The College of Arms, The National Maritime Museum, The Royal Engineers Museum, Chatham and The National Museum of the Royal Navy, Portsmouth. Please do not hesitate to contact Martyn for a free initial consultation or advice if you are thinking of selling a rare or unusual historic artefact, jewel or family heirloom. Objects currently available for sale can be seen at current exhibitions.